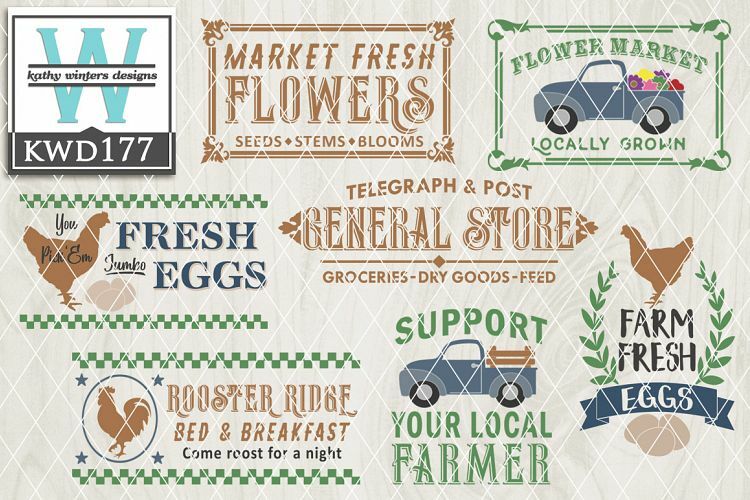 A design trend that's proving its lasting power in our ever-changing world is simple farmhouse wood signs. They are easy to make and add so much character and personality to people's homes. 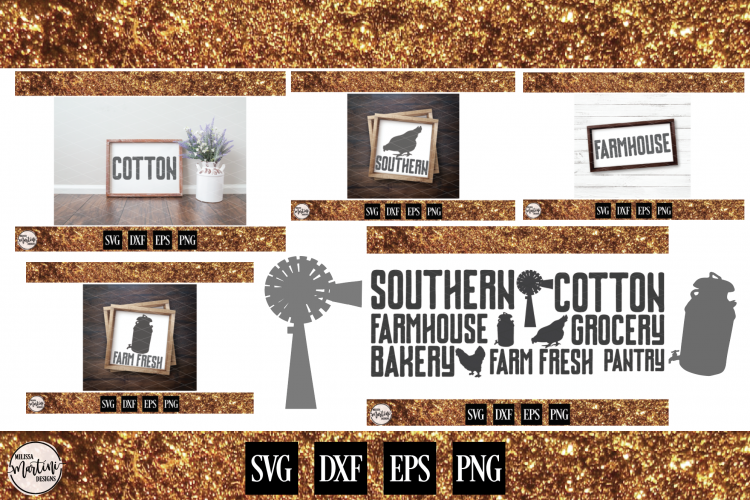 To make your job even simpler you can use predesigned SVG files along with your electronic cutting machines, simply scale the design and cut your medium out. BOOM, instant signs! Here are 6 designs perfect for your kitchen or pantry. These would also make adorable flour sack towels to hang on your oven handle too. I see lots of handmade gifts in your future! I absolutely love the flower market cut files! How sweet would they look hanging on your wall in a powder room or entryway with some fresh flowers in a vase below? Another fun idea would be to make seed packet labels for a wedding or baby shower as favors. 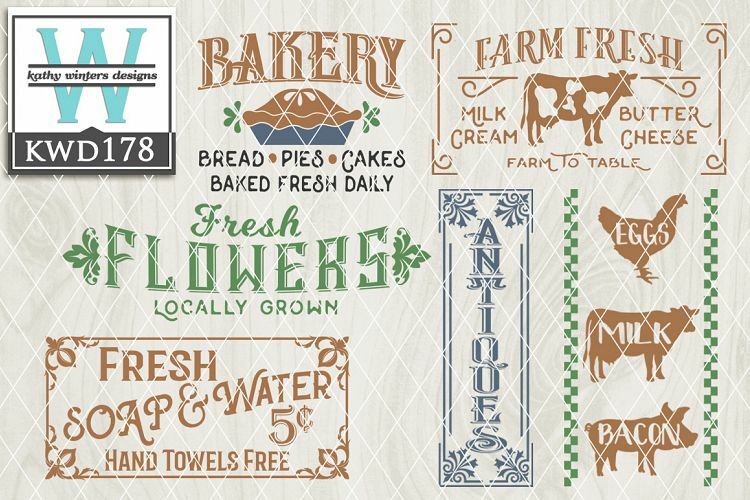 Here are more adorable designs perfect for the kitchen or bathroom. 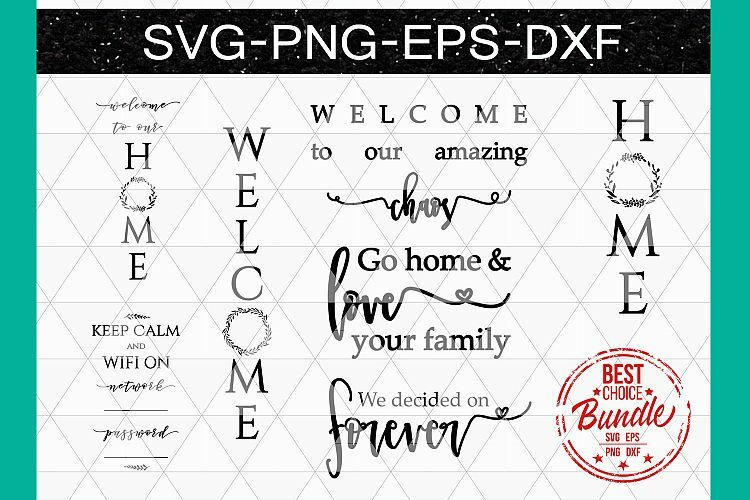 I can already see the buffalo check wallpaper with a crisp white background wood sign featuring one of these files painted on top. You know Joanna Gaines would approve of this! 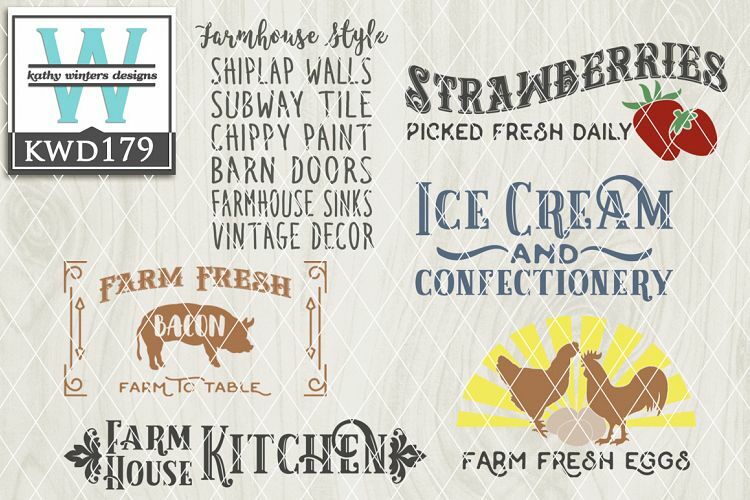 These words are perfect for the long horizontal style signs to hang in your kitchen, dining room, or living room. I love it when they are oversized statement pieces for a clean and simple look. 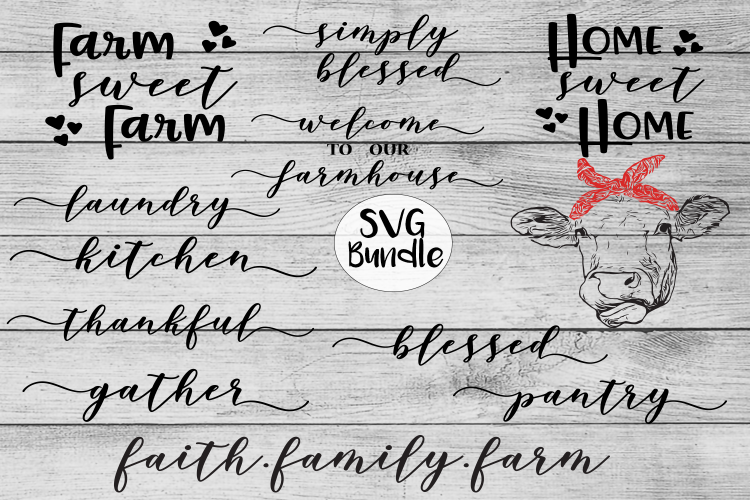 How amazing is the farmhouse style design?!? Another winner is anything involving ice cream. I mean, it's ice cream! Grab some glass goblets and your glass etching cream to make an adorable set as a gift or for yourself along with all the fixings. 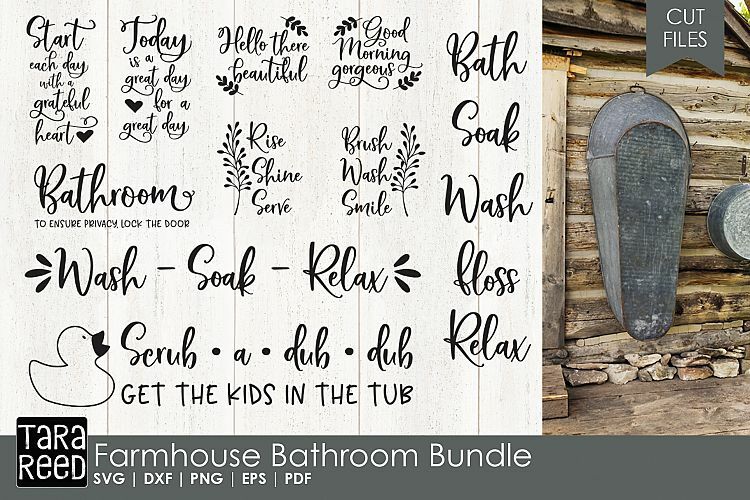 This bundle is specifically geared for those adorable bathroom signs. I particularly love the kids in the tub one! How cute to hang that in your kid's bathroom with the duck painted in yellow? How fun is this mix and match set?! 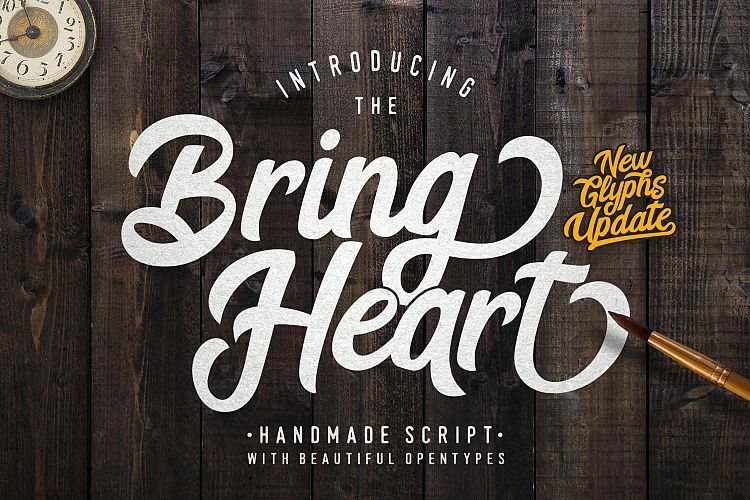 You can customize to your heart's content to create some original designs. I consider this more modern farmhouse style which is absolutely on trend right now. These are hilarious!! 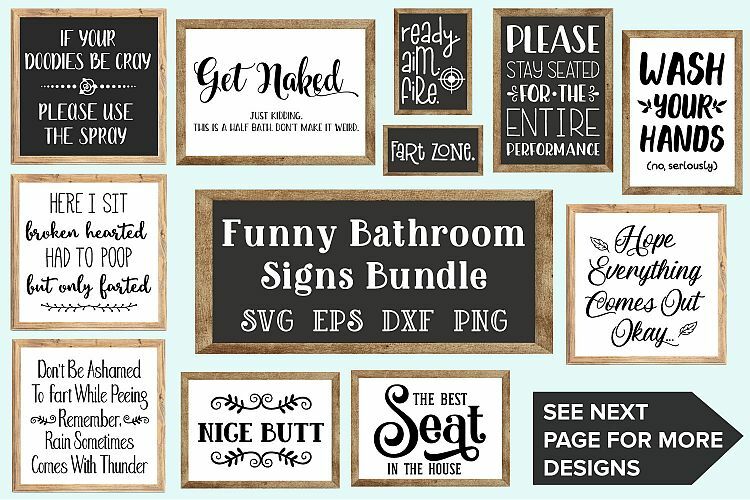 Add one to your guest bathroom and wait for the laughter once they realize what your decor is telling them. I'm definitely going to be making a few of these for gifts this holiday season. 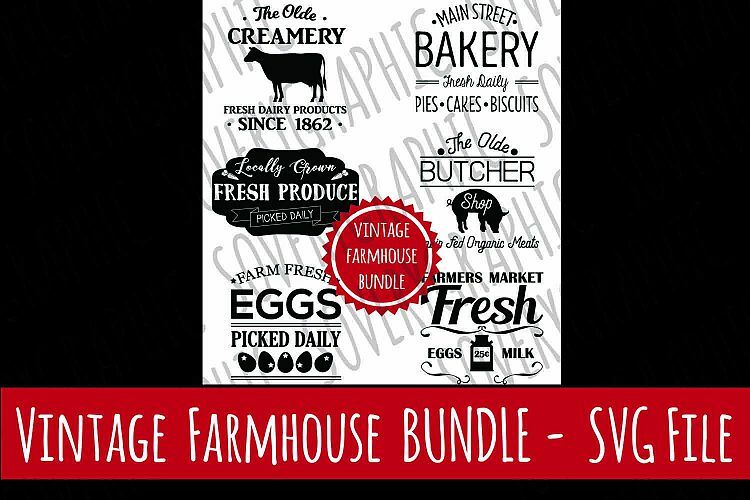 No one said farmhouse signs need to be serious. These would be beautiful hanging on your front door! Maybe break out the paint and brushes to give the floral wreaths a little handpainted love to really make these pop. 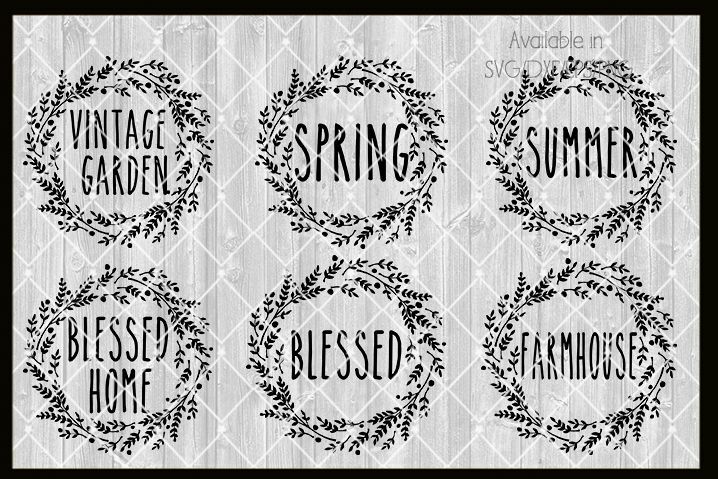 Last but not least, these are perfect to make some of the large wood board signs to lean on your front porch. The wifi one would be great to place in a guest room or where your friends like to gather so you're not constantly repeating yourself on how to connect, nobody wants to use their expensive data package you know!